Hello Again disco bunnies and COR scallies! A little more balearic sunshine for you to get you revved up for this year’s Great Easter Bonnet Boutique balearic odyssey! This is another mix from the absolutely BRILLIANT testpressing.org . 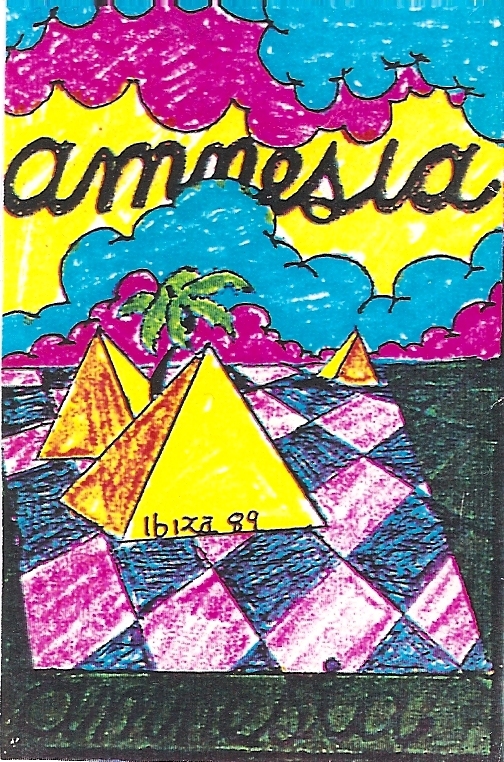 Not sure who this balearic selector is, but we can tell you its from Amnesia, Ibiza, 1989. You can listen to the mixes in the players below, or click here to visit the site. For more balearic rave party funtimes, make sure you grab your easter bonnet and get yourself down to COR’s GREAT EASTER BONNET BOUITQUE!! This Easter Sunday, 4th April. There are tickets still available but they are in short supply. Grab a COR ressies or pop into COR HQ – Head Hairdressing, 53 Albert Road – and ask for uncle Tim, he will fulfill your ticket requirements. Oh, it’s well worth getting creative and knocking up an Easter Bonnet, cos the first prize for the best one is a 3 night trip to Ibiza for two!! How d’you like them balearic eggs??! Go mental, anything goes. Hopefully see you on the floor. Disco eggs in hand of course. Big Love. THE GREAT EASTER BONNET BOUTIQUE!! 3 NIGHT TRIP TO IBIZA FOR 2! !